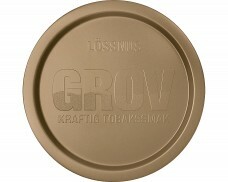 As a nearly 150 years-old brand, Grov Snus has proven itself. 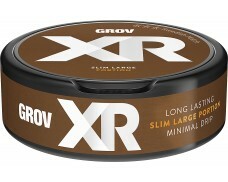 Like many other traditional snus brands, Grov started with hard-working Swedish entrepreneurs. While working at tobacco manufacturer Aspelin in Stockholm, Grov co-founder Wilhelm Hellgren acquired invaluable expertise on tobacco manufacturing and the general industry. Being passionate about tobacco, he wanted to run his own tobacco company – a dream which would become reality in 1840. Four years later, Johan Bäckström quickly rose up the ranks at Hellgren’s tobacco company and became a partner at the company just five years after starting there. One decade after launching the business, Willhelm Hellgren’s tobacco company was a dominant force in the market: It was the third-biggest tobacco manufacturer in Sweden and owned a chain of tobacco stores all over Stockholm. After a series of ownership changes since the company’s foundation, the brand is managed by Swedish Match AB today. While most of the original founders’ brands are history today, one brand persists: Grov. 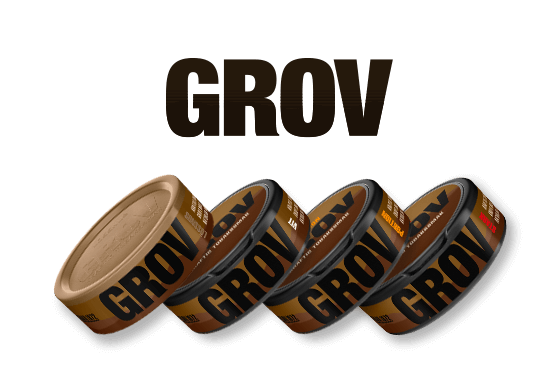 From the first time Grov was registered as a brand in 1872 to today’s status, Grov’s most important characteristics haven’t changed much, as the snus is still based on the recipe from 1872. 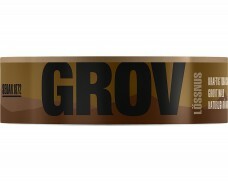 Grov is known for being coarsely ground and delivering a rich tobacco flavor with a few nuances. 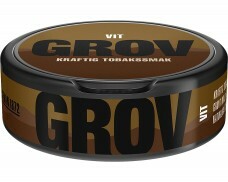 Beloved by many traditional snus enthusiasts, the tobacco is enhanced by notes of dried herbs. Hints of wood, tar and almonds complete the distinct flavor profile which has been proven for nearly 150 years. What Does Grov Mean Today? To the delight of all traditionalists, the original Grov Snus from 1872 is still available in its loose form (the most common way to consume snus back then). For easier consumptions Grov Snus is also available as Grov Portion. Grov White Portion will delight those who enjoy drier tobacco with minimal drip, but still enjoy Grov’s tobacco-centered flavor. The trend of added nicotine in snus is reflected in Grov’s offering through Grov Strong Portion. These pouches contain more nicotine than ordinary Grov, making it perfect for anyone looking for an extra kick. 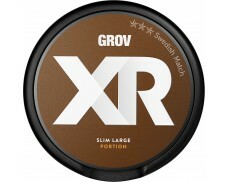 The Xrange Grov Slim Large Original Portion Snus contains large slim pouches which fit in the mouth comfortably without missing any of the tobacco. 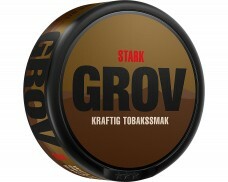 Anyone looking for traditional Snus flavors will love Grov Snus.